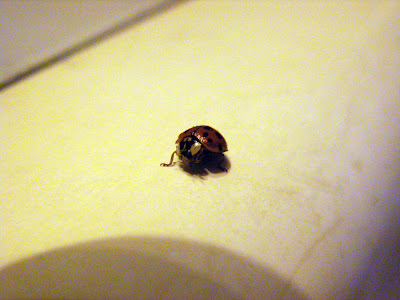 This is a real lady bug that was walking on the living room table. It was very dark so I had to lower the shutter time and also used a higher ISO. 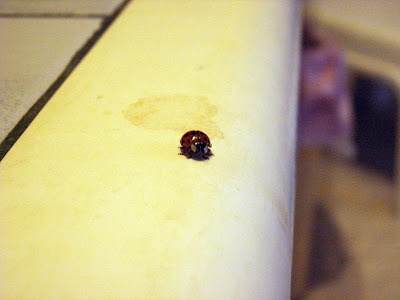 But its very hard to capture the lady bug on camera because it don't want to stay still so the shutter time can't be too short. And can't use flashlight because its so small and get scared and fly away. 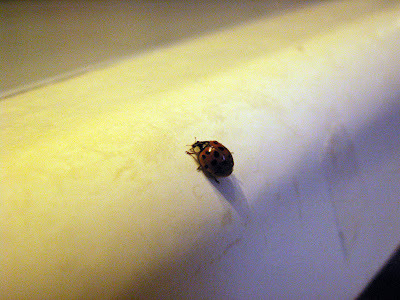 So I had to change the ISO and get a bit grainy pictures instead. 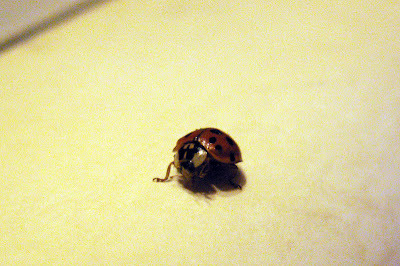 He is still somewhere in the living room and haven't flew out of the window yet. So might get more chances to get better pictures.